This is a VR title for the HTC Vive. Would you be open to information being poured into your head about Zika in a VR format? Information carefully sourced from the Center for Disease Control (CDC) or the National Institute of Health (NIH). FYI: This was not a government sponsored project. 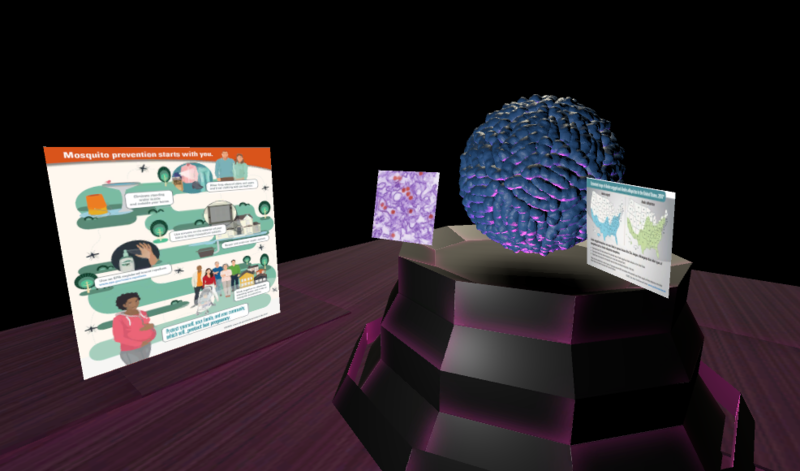 Listen to spatial audio as the CDC provides you information about Zika while playing with virtual ticks. You can pick them up, stack them, pet them and call them your BFF. We won't judge. Need more about the disease of Zika? Learn More at the CDC Or better still: try the experience! IT'S FREE! Help make LDVR's titles better by sharing your inner most thoughts-er, feedback. Please keep safe for work! This is a prototype for the HTC vive. Download and run zika.exe. Can I stick my head in the Zika virus? For the love of it all -- only in VR! Can I pickup the ticks? Yes. Yes you can. Use the grip button. Not sure I follow. Are you suggesting a mobile app? Glad you enjoyed it! I've been wrapped up so much with the MSI jam that i've not had a lot of time for fun projects like Orbital Cow 2 :D Have a lot of catching up to do! Thanks! I just wanted to check out the 3d sound.